Russian army troops in military formation line up during the taking of the oath of allegiance ceremony. When I come across an article like ‘Crimea: five years on’ of March 7 by the Ambassador of Russia to Malta, Vladimir Malygin, I can’t help being reminded of Lord Acton’s famous definition of an ambassador as “an honest man sent abroad to lie for the good of his country”. I have never met Malygin, but I am confident he is an honest man and like so many Russians in Malta warm-hearted and friendly. But there is no escaping the fact he represents Russia’s President Putin. Today, Orwell’s 1984 is everywhere – from the flood of deliberate disinformation from the Russian government designed to undermine democracy to the sustained assault on media impartiality from the Trump White House. When I read in Ambassador Malygin’s article of “the voluntary reunification of the Republic of Crimea” and “the 2014 anti-constitutional coup in Ukraine”, I despair about whether the ambassador and I are talking about the same historical facts. Vladimir Putin’s Russia invaded Georgia in 2008, annexed Crimea in 2014, backed a war in Ukraine that has produced more than 10,000 casualties, and reaches out abroad to kill or threaten the Kremlin’s critics. Yet in the ambassador’s plaintive article, Russia still presents itself as a country under siege. The ambassador has the gall to publish his article just a few days after the anniversary of the nerve agent attack on the Russian defector, Sergei Skripal, and his daughter in Salisbury in England. There is no doubt about the nationality and identity of the chief assailants, nor about the evidence that their puppet masters are in Moscow. Russia has both a long history of disinformation campaigns and a political culture largely untroubled by concerns for truth. Hence the popular Russian expression: “There is no truth in the news (Izvestia), and no news in the truth (Pravda).” In the words of The Economist, Russia has taken to the dark side of social media “like a rat in a drain-pipe” not just for internal use, but for export too. His words reflect Kremlin paranoia about western intentions, accusing the United States Pentagon of deliberately destabilising governments in order to create strategic advantage and deepen the sense of Cold War mistrust between Moscow and Washington weeks after President Trump scrapped a key arms treaty with Russia. There is nothing new about General Gerasimov’s drawing attention again to “hybrid warfare” (the blend of conventional force, irregular units and information warfare), the principles of which he had set out six years ago. He argued then that using non-military means were as effective at achieving political and strategic goals as the use of weapons. It was an attempt at the time to absorb the lessons of the Arab Spring when, in Moscow’s view, malign western powers were stirring trouble in the Middle East, including in Syria, Russia’s ally. Hybrid warfare was deemed to be the answer. Gerasimov has moved on from that. Addressing the Russian military academy, he praised the efforts of his officer corps to smash resistance in Syria and keep President Assad in power. The Russian army, having deployed in Ukraine and Syria, is acquiring considerable combat experience. The general suggested that these experiences should be applied elsewhere. With the use of proxy armies, the cowing of civilian populations, control of air space and the cyber-domain, and the active role of the GRU military intelligence agency (despite its botched efforts with novichok in Salisbury), Russia had developed the global activities of the GRU and the skills needed to keep its foreign friends and allies in place. The army, he implied, had become a more sophisticated tool of Moscow’s foreign policy. His speech was a way of alerting the world that the army’s reach was going to extend further than the “near abroad”, to those former Soviet republics regarded (as has already happened with Georgia, the Crimea and the Ukraine) as being in the Russian sphere of interest. Syria should be seen as more than a one-off campaign; it was a successful combination of armed force and political clout that could inform future confrontation with the West. 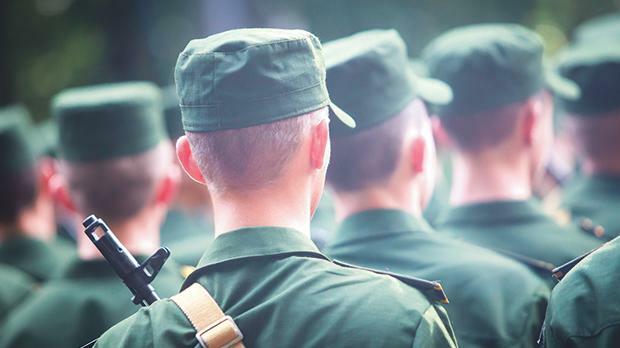 It is essential that the emerging views of Russia’s military top brass (and their senior diplomats) are taken into account when assessing Moscow’s intentions for the future. General Gerasimov has been open about how Russia plans to position itself by gearing up for fresh confrontation with the West. Malta too, as a member of the European Union, should be open about exploding the myths that the Kremlin uses to mask its actions – of which Ambassador Malygin’s attempt at rewriting recent Crimean history is an excellent example. Russia’s propaganda about the Skripals should be countered by the West being more transparent about the case and about the chain of command in Moscow and the global activities of the GRU. The United States, the European Union and the United Kingdom scored a diplomatic success in mustering a united western response to the Salisbury attack. Today, the West needs to be more alert than ever.